The powerful Shiite militant group Hezbollah, a close ally of Syria, said Tuesday it opposes calls to hand over the investigation of the assassination of an anti-Syrian intelligence official to the international tribunal ( Special Tribunal for Lebanon , STL) probing similar killings of other Lebanese political figures. The most prominent case before the Netherlands-based tribunal is the 2005 assassination of former Prime Minister Rafik Hariri, who was the country’s leading opponent of Syrian involvement in Lebanon at the time. Syria dominated Lebanon for decades until it was forced to withdraw tens of thousands of troops in 2005 amid a backlash over Hariri’s killing by a massive truck bomb. Some anti-Syrian politicians have called for the investigation to be referred to the international tribunal in the aftermath of Friday’s car bomb that killed intelligence officer Brig. Gen. Wissam al-Hassan. The U.N.-backed tribunal indicted four Hezbollah members in the killing of Hariri and 22 others. Hezbollah, which along with its allies dominates Lebanon’s government, denies involvement. Al-Hassan was very close to Rafik Hariri’s son Saad Hariri, also a former prime minister. He was once in charge of security for Rafik Hariri and later investigated Hariri’s killing. The assassination on Friday, blamed by many on the Syrian regime, has stirred up sectarian violence in Lebanon where people are deeply divided between supporters and opponents of President Bashar Assad’s government in Damascus. Syria has intervened heavily in Lebanese affairs over the past decades and is blamed for the deaths of many prominent critics and anti-Syrian political figures. 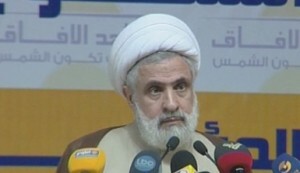 Al-Hassan challenged both Syria and its powerful Lebanese ally Hezbollah. Seven people have died in clashes between pro- and anti-Syria factions sparked by the assassination – the deadliest violence in Beirut in four years. Late Monday, the police chief released details of the investigation into al-Hassan’s assassination, describing a carefully planned car bombing that targeted the intelligence officer as he was moving about the capital in secret. Maj. Gen. Ashraf Rifi told a group of journalists that al-Hassan was assassinated outside one of his secret offices where he used to meet with informants. He was driving an unarmored rental car for camouflage. Al-Hassan was one of Lebanon’s most secretive figures, and until his death many Lebanese did not know what he looked like. “The martyr Wissam had an appointment in this office and it seems he was watched,” Rifi said, adding that the booby-trapped car went off as al-Hassan’s car was passing slowly by through the narrow street. The secret office in the predominantly Christian neighborhood of Achrafieh is few hundred meters (yards) away from the heavily-fortified police headquarters where al-Hassan spent most of his time while in Lebanon. Rifi also said investigators had identified the car used in the bombing as one stolen a year earlier. Rifi added that the car was detonated by remote control, probably from a spot overlooking the street. Rifi confirmed reports from Washington that an FBI team will arrive to help in the investigation in the next two days. 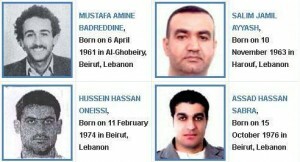 FBI teams helped investigate several bombings in Lebanon since 2005. A senior security official, speaking on condition of anonymity because he was not authorized to talk to the media, said al-Hassan entered through Beirut’s airport using a fake name and after he reached his office, he sent his passport to the airport to be stamped. The official said this could be one of the ways it became known that he was in Lebanon. The official added that al-Hassan was supposed to stay in Paris with his family for more than a week to celebrate the Muslim feast of Eid al-Adha that starts Friday. It was not clear why he returned to Lebanon. The circumstances were similar to two other assassinations of anti-Syria figures: the 2005 killing of newspaper editor and lawmaker Gibran Tueni and the 2007 death of Christian lawmaker Antoine Ghanem from the right-wing Phalange Party. Both died in car bomb blasts shortly after returning to Lebanon from abroad, in secret. Some anti-Syrian politicians say that the airport, which is in a Hezbollah stronghold, is one of the places where information is collected to kill their leaders. “This was a persistent and professional act against the (country’s) most important security body. They were able to reach general al-Hassan,” Daher said. The daily As-Safir reported that security authorities now have the data of al-Hassan’s mobile phone and are checking it specifically from the time he landed in Beirut until he was killed. His last call was to former Prime Minister Saad Hariri, telling him he was in Beirut, the paper said. Al-Hassan’s work led to the arrest of former Information Minister Michel Samaha, one of Syria’s most loyal allies in Lebanon. He is accused of plotting a wave of attacks in Lebanon at Syria’s behest. Syrian Brig. Gen. Ali Mamlouk, one of Assad’s most senior aides, was indicted in absentia in the August sweep. The assassination has dramatically escalated political tensions and sparked violence between supporters of Assad and his opponents. Lebanon and Syria share similar sectarian divides that have fed tensions in both countries. Most of Lebanon’s Sunnis have backed Syria’s mainly Sunni rebels, while Lebanese Shiites tend to back Assad, who belongs to the minority Alawite sect – an offshoot of Shiite Islam. Angry protesters tried to storm the government palace after al-Hassan’s funeral on Sunday, venting their rage at leaders they consider puppets of the Syrian regime. But they were pushed back by troops who fired their guns in the air and filled the street with tear gas. On Tuesday, Prime Minister Najib Mikati, whose Cabinet is dominated by Hezbollah and its allies, resumed work at the palace and received EU foreign policy chief Catherine Ashton, who later met President Michel Suleiman. Mikati later referred al-Hassan’s case to the Supreme Judicial Council, which handles political and state security crimes. Mikati later left to Saudi Arabia to perform the annual Muslim pilgrimage, or hajj. Meanwhile, calm returned to the streets of Lebanon’s capital, a day after troops launched a major security operation to quell fighting touched off by the assassination. Troops conducted major operations on Monday to open roads and force gunmen out of the streets. Schools and businesses opened as usual. In the northern city of Tripoli, security officials reported that the army deployed to separate gunmen from rival factions following sporadic exchanges of gunfire lasting until Tuesday morning. In shooting around noon, two people were wounded, security officials said. State-run National News Agency said troops detained 100 people in Lebanon and Tripoli over the clashes. It said they include 34 Syrians, four Palestinians and the rest Lebanese. In Beirut, a funeral was held for Ahmad Queider who was killed a day earlier. Gunmen fired heavily in the air as hundreds of people marched behind the body draped in green and carried on a stretcher toward the cemetery. Hezzy’s are against anything of an ‘international’ flavour …. But I’m sure the UN has had enough aggravation from one ‘REQUEST’ for it to handle a problem that could NOT be handled in Lebanon … mostly due to people being blown up when they tried … and looking at Lebanon’s ‘balance sheet’ it’s not affordable anyway … been hard enough to pay for ONE investigation and (absentee) trial. So … let us see if anything changed since 2005 … hmmm … are there enough ‘judges’ left ?? And hizbollah is a terrorist organization who was created in order to establish another waliat al faqih and will kill anyone include Wissam Al Hassan in order to establish its rule. therefore anytime accused will say its israel, or STL or some other damned excuses you jackasses come up with. And hezbollah is against given any telecommunications info to the investigators too. They want to have everything under their control. They keep blaming israel for these assasinations or FSA now as of late. well why are you hiding these communications info to protect israel and FSA then..Qassem and Nassrallah, Raad, and Mussawi and yazbek and many crap that hezbollah produced will die in explosions the way all M14 officials died. but their explosions will be bigger and spectacular than anything you ever seen. they think they’re above God since they think they’re protecting God lol. As if if God needs protection..the party should be called the Satanists because they don’t even pray to Allah and mostly worship mullahs of iran. . they cursed prophet muhamed while protesting against those who did. up blowing up in their faces. How stupid. How incompetent. The American administration was secretly supplying Arms to Iran via Israel which was exposed and I am sure you heard of “Iran contra scandal”. While the US administration was demonizing Iran and at the same time selling weapon to Iran secretly and outwardly showing support to Saddam Hossain some of the US patriot did their job very well who didnt know that US administration was in fact supporting Iran. They were sincere. Before Ronald Regan came to power he used to criticize Iranian mullah(calling Khomeini a maniac) regime but when he became the president he himself became involve in supplying arms to Iran in secret. The Patriotic american investigator who did their job with utmost sincerity busted the arms dealing ring and BINGO…… They found their President himself is a devout supporter of the Mullah regime of Iran. One Iranian Brother made a very good video presentation on how USA controls Iran. Please search this on youtube to find the video. This is a must watch for every one and there are some old footage of Ronald Regan confronting the angry Journalist after the Iran contra scam. Please do watch the video and it will help you to understand how political smoke screen works. Before Ronald Regan came to power he used to criticize Iranian mullah regime but when he became the president he himself became involve in supplying arms to Iran in secret. The Patriotic american investigator who did their job with utmost sincerity busted the arms dealing ring and BINGO…… They found their President himself is a devout support of the Mullah regime. Israeli existence brought the opportunity for the Iranian Majoosis in invading Lebanon via AMAL and Hezbushaitan simply posing as a savior of the Palestinian sunnis.Imagine these majoosis came all the way from Persia to help the sunnis NOT to invade Lebanon!! How generous.Please Note that Iran is the first country in this region who gave recognition to Israel!! I dont have any doubt in my mind that without the existance of this fake resistance the People of Lebanon Syria and Palestine would come to a better settlement with Israel by now. The reason there were constant unrest between Palestine and Israel is due to this fraud Majoosis from Iran. Because once there is a settlement the people will simply ask this fake resistance to go home and submit their weapon. Therefore the Majoosis Mullah need to linger this issue as long as they can and in the meantime it is Iran who is invading Syria and Lebanon in the name of freeing Palestine. So wake up Lebanese come back to your senses. Hezbushaitan fought against Israel for 33 days in their 30 years of history in a fake war where Israel in fact helped boost the image of this fake resistance group. Now any one challenge Hezbushaitan for their dirty business of drug dealing , Murder etc are immediately branded as a Zionist!! Like Bush used to say if he was challenged …”Either you are with us or you are with the terrorist”!! Israel does not want a better settlement with the Arabs that is just. It wants to take as much as it can. Shiites criticized the PLO for doing what they’re doing in Lebanon. They have a state within a state, a Hezbollah land. I do agree that the Syrian regime will fall, but I’m not into any of the Mujahideen elements. Hezbollah fought Israel for more than 33 days. Israelis withdrew for a reason. They were losing plenty of casualties. I dislike Hezbollah, but I don’t think the answer is a military one per se. I think the Syrian regime needs to go, and a military answer does lie there to some extent. Hezbollah will be politically weak if Assad goes. And out of that 1200 dumbass how many were innocent people. Furthermore, Israel huffing and puffing saying it want to attack Iran for only god know what is what you call wanting to be left alone hey. As for Basher, he is going nowhere. Israeli existence brought the opportunity for the Iranian Majoosis in invading Lebanon via AMAL and Hezbushaitan simply posing as a savior of the Palestinian sunnis.Imagine these majoosis came all the way from Persia to help the sunnis NOT to invade Lebanon!! How generous. more evidence that the Lebanese militia is preparing for war. targets with long-range surface-to-surface missiles. kind the world has ever seen. director of the Mossad, Israel’s intelligence agency. Is that what the US say. Then allow me to call you a big dumbass. The way you are getting excited over your blog I suggest you change you name from Dandy to Randy. Are you Jim, are you feeling Randy.